Lithuanian Jews who survived the Nazi Holocaust and Soviet terror during World War II will receive symbolic compensation from the Baltic state next year, a Jewish group leader said Wednesday. Andrew Baker of the American Jewish Committee told journalists in Vilnius that three million litas (870,000 euros, $1.l4 million) "will be used as a symbolic payment to individual Lithuanian Jewish survivors of totalitarian regimes." Faina Kukliansky, a leader in Lithuania's small Jewish community of around 5,000, said she expected more than a thousand people to share the funds next year. "It is a symbol which proves that Lithuanian Jews are full members of a tolerant and open Lithuanian society," she told journalists. The money is part of a 128-million-lita compensation fund for Jewish properties lost during the Nazi or Soviet eras that Lithuania is to disburse between 2013-2023 under a law passed last year. Baker said this amount "should be sufficient to guarantee the long-term viability of Jewish life in Lithuania", although it does not represent the full value of Jewish communal property. "Some measure of justice has now been achieved," he insisted. Lithuania was occupied by the Soviets in 1940 under a pact with the Nazi regime in Berlin, and tens of thousands of Lithuanians were killed or deported to Siberia and Central Asia before the Nazis themselves launched a surprise invasion in 1941. That occupation saw the near-total destruction of Lithuania's 200,000-strong Jewish community. The Soviets returned in 1944, and cracked down again. Lithuania estimates that it lost 780,000 people under Soviet occupation between 1940-1941 and 1944-1952, as people fled to the West, were deported to Siberia, or killed battling Soviet forces. Lithuania, a nation of three million, was the first republic to secede from the Soviet Union in 1990. It joined the European Union and NATO in 2004. 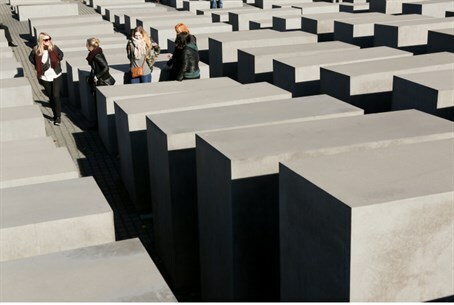 Last week Jewish groups urged other ex-communist European states to return, or provide compensation for, assets seized from Holocaust victims estimated to be worth billions of dollars. Latvia, Poland and Romania were singled out in particular.